Jacinta Chan Pech was 29 when she was selected to participate in GOJoven. 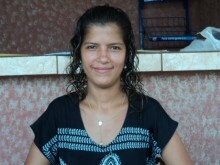 Jacinta is an Industrial Engineer in Business Development and a Mayan leader who is bilingual in Spanish and Maya. She works for the National Comission for the Development of Indigenous Communities (CDI) as the Quintana Roo State Coordinator for the Indigenous Women’s Organization (POMI). She supervises women-led projects and co-facilitates national workshops to train female promoters in Equity and Gender, Culture, SRH, Sustainability, and Rights. Jacinta has participated in the Digital Storytelling Project, recording her digital story, which she uses to educate indigenous health promoters in different regions of Mexico. She has collaborated in various volunteer environmental projects to create a recycling collection center. 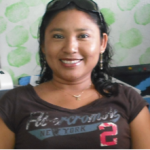 Jacinta’s short term goal is to direct her own organization that provides workshops to strengthen the capacity of indigenous youth in SSR and link the work of GOJoven alumni to her current organization.